Looking to purview a few rails but only have a budget of two Benjamins? I got you covered. Visit the Rail Buyer’s Guide here. No Cheese Grater? Yes, that means there are no picatinny quads in this list. Haven’t seen th Atlas S from AP. But .. I still rock a lot of guntec usa handguards. My bcm’s are great. My ap’s are fine (though a lil fat for my taste .. enhanced ar308 & ar15 handguards). 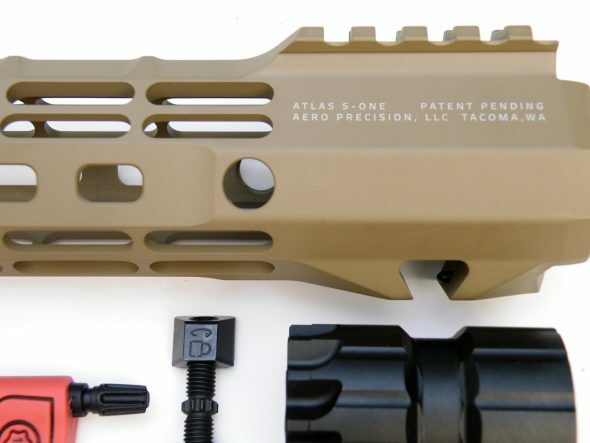 I’ll check-out the ap atlas s handguard .. though I really think the bcm handguards are my go to for now .. guntec usa being the low cost option. I havent heard of guntech usa. Off to duckduckgo! Looks like Guntec uses torx screws for handguard mounting. Having stripped out standard allen-wrench screws on handguards before, that’s a huge improvement! I agree. I have to hunt for allen keys that fit mounts, rails, etc. Even though they may be the “right” allen key, some of them fit a bit loose. So i routinely jump between metric and standard as I hunt for the best fit on some of these allen heads. Torx is much better.